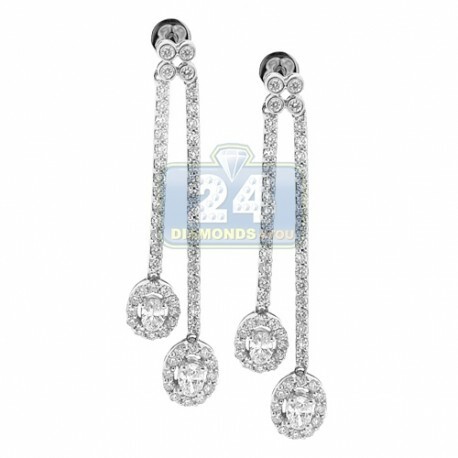 These rich-looking double drop earrings feature shimmering round and oval brilliant-cut natural diamonds of 1.60 carats, VS1-VS2 clarity, F-G color. 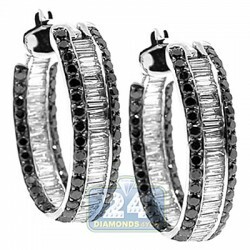 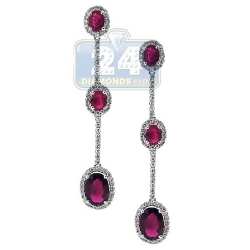 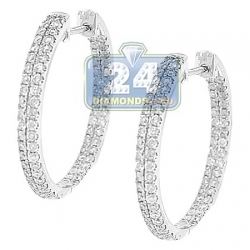 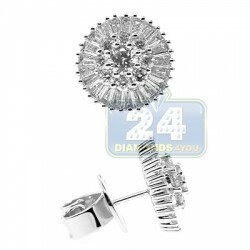 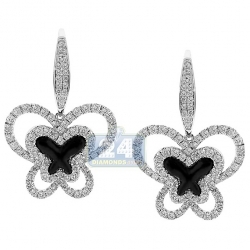 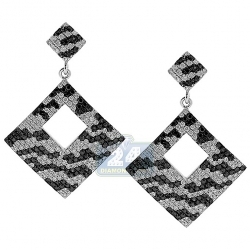 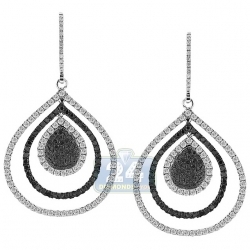 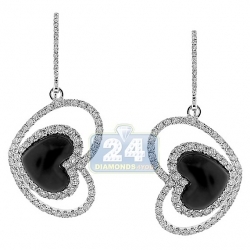 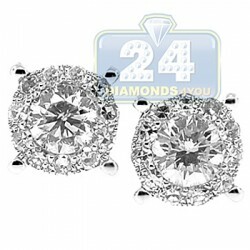 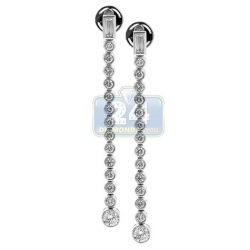 Our women's dangle earrings are lovely created from cool 14 karat white gold with high-polished shiny look. 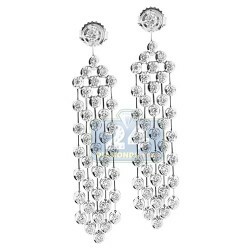 They measure 40 mm in hanging length and 10 mm in width. 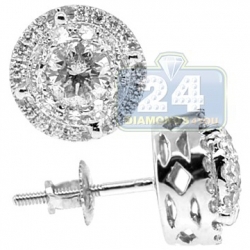 Secure clasp and a perfect look for any occasion!